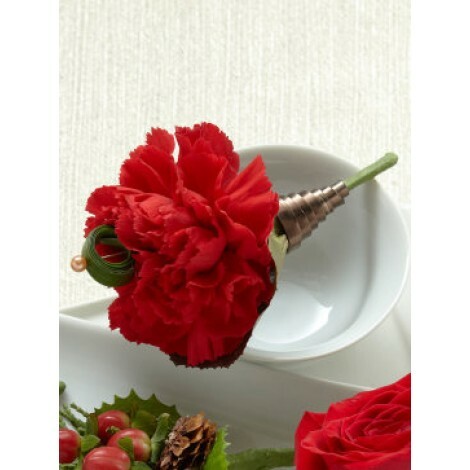 A classic colour splash of rich, romantic red makes this traditional red carnation boutonniere the perfect finishing touch. 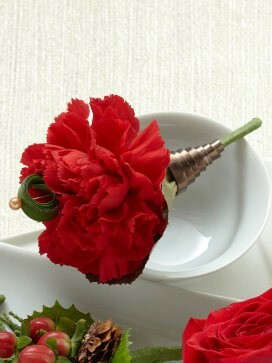 This stunning and simple red carnation boutonniere is comprised of a single red carnation accented with the addition of lily grass blades and lush greens to create a eye-catching, simple yet striking effect. Approximate dimensions;. 4"H x 3"W.